When Satoshi Nakamoto first introduced Bitcoin to the world, it had almost no use case because the network was small. But soon, internet gambling and the Silk Road started to use bitcoin because BTC transactions were not directly linked to the identity behind the transactions. Essentially, the dark web bootstrapped bitcoin into existence and allowed it to eventually break away its reliance of questionable use cases. Larimer also wanted to create a cryptocurrency and had his own vision when it came to the scalability and transaction speed issues. He created the Steem token essentially to be a micro-payment cryptocurrency for use cases like tipping an author. For Larimer it wasn't enough just to create the cryptocurrency. He created an economic model and monetary system as well as a social media platform to bootstrap the new currency. 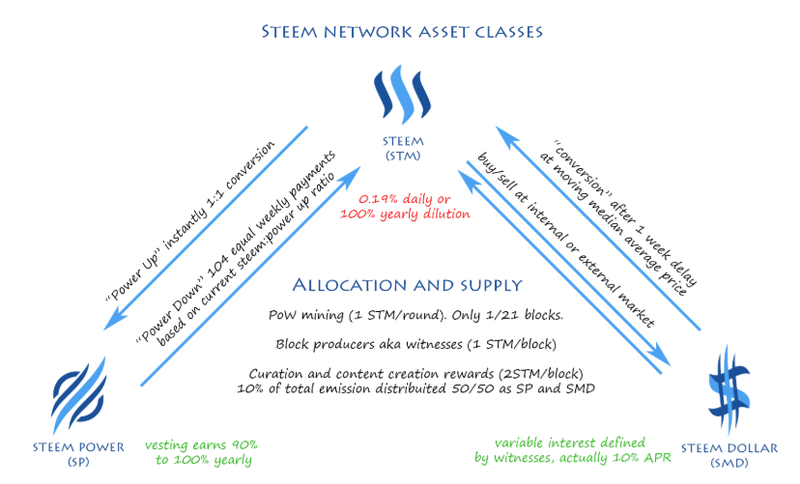 We will break down the concept behind the Steem token and Steemit network as well as the monetary system or model that this network is built on. We will also look at the varying opinions about this project. Dan Larimer and Ned Scott founded and launched the Steemit network on July 4, 2016. 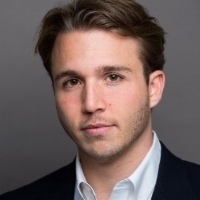 Ned Scott is CEO of Steemit, inc. which provides the technical development of the steemit platform. Larimer was CTO until March 2017, after which he left and eventually became CTO of the EOS project. The project had no ICO or premine, a condition Larimer believes would foster a truly decentralized social network. It was a rough launch because the network was hacked July 14. (CoinTelegraph.com) This essentially forced a relaunch. The concept of Steemit is a decentralized version of reddit.com, a blogging site frequently visited by those in the crypto space. Instead of the classic ad-model for user-created content sites (like Twitter and Facebook), Steemit has a different, self-contained model that rewards contributors with the native currencies. Steem, Steem Power, and Steem Dollars, are the native tokens with different roles to play in economic model or monetary system of the Steemit network. 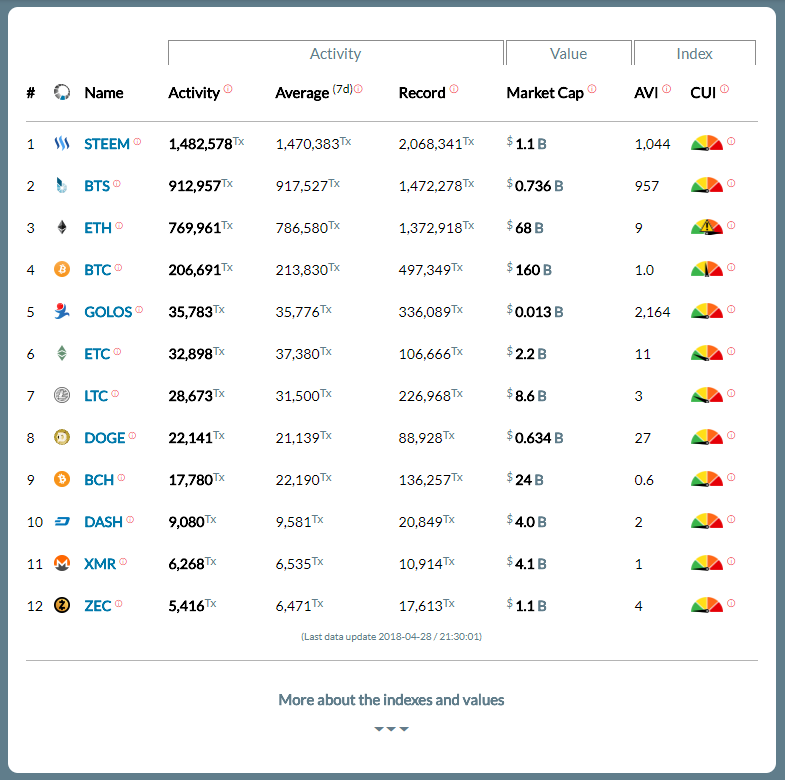 According to blocktivity.info, the Steem blockchain has the most daily transaction activity out of any blockchains out there. In late 2017, new projects built on top of the Steem blockchain have brought some new applications with better interfaces than Steemit. DTube (https://d.tube/) and DLive (https://www.dlive.io/) are two examples of decentralized social media platforms that use the Steem blockchain. The Steemian community provides input on what it whats the developers to work on each year. The most important feature of the STEEM cryptocurrency is the monetary system and economic model built around it. This system/model involves 3 native tokens, Steem token (STEEM), Steem Power (SP), Steem Dollar (SBD). It also involves the rules of engagement in the system and the mathematical relationships between the 3 tokens. STEEM is the liquid cryptocurrency that can be converted to Steem Power (SP), which is illiquid but has "rights" or represents "shares" or power in the community. Steem can be converted into other cryptocurrency like bitcoin. If you hold STEEM for 13 weeks, it "powers up" to SP. SP gives the holder "shares" of the Steem community, or "voting" rights. SP holders vote for things like witnesses and SBD interest rate. You can "power down" SP back to Steem in the span of 13 weeks at a rate of 1/13 a week. Steem Dollar's are equivalent to $1 and pays interest (determined by SP holders). You can convert SBD to SP, but not the other way around. The SBD is therefore like a convertible note. We can think of SP and SBD as tokens for internal mechanism while STEEM is the token used to bridge this system to the outside. Here's a screenshot of the wallet on a steemit account (new one with just a couple of articles written). 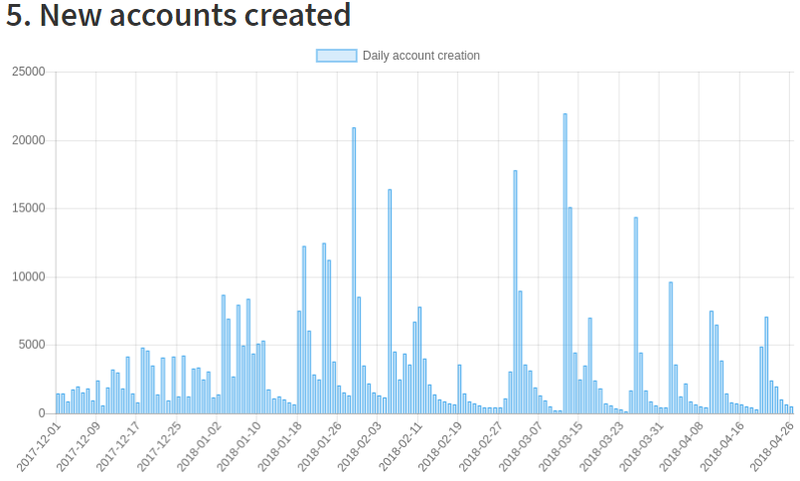 As you can see, new users are given some initial amount of Steem Power (SP). We already noted some of the conversion mechanisms and the value of STEEM, SP, and SBD. This system essentially makes it worthwhile to own a lot of SP. Many in the space believe this is a feature of centralization because those with the most SP have the most influence. But at the same time, this could be an effective variation of a Proof-of-Stake (PoS) governance. There was an instantaneous 9.5% inflation of STEEM on the 7,000,000th block. Then, this inflation rate declines 0.01% after every 250K blocks. Steem's blockchain (Graphene) is a variation of the Bitcoin Blockchain. It also powers Bitshares and EOS. Graphene is written mostly in open source C++. A block is created every 3 seconds. The consensus algorithm involves 21 witnesses who verify the blocks. The 21 witnesses contain 20 witnesses with the most votes, and 1 slot that rotates through a list of witnesses outside of the top 20. Note that there is a lot of debate on effective vs. nominal values in terms of dilution. There is definitely a learning curve to get use to the economics of this system, and I have to say it is not that intuitive. There is also debate on whether Steemit is decentralized. If we just look at the steem distribution, according to Steemwhales.com, this network is highly CENTRALIZED because 1% of the wallet make up 80.46% of all the Steem value (including SP and SBD). 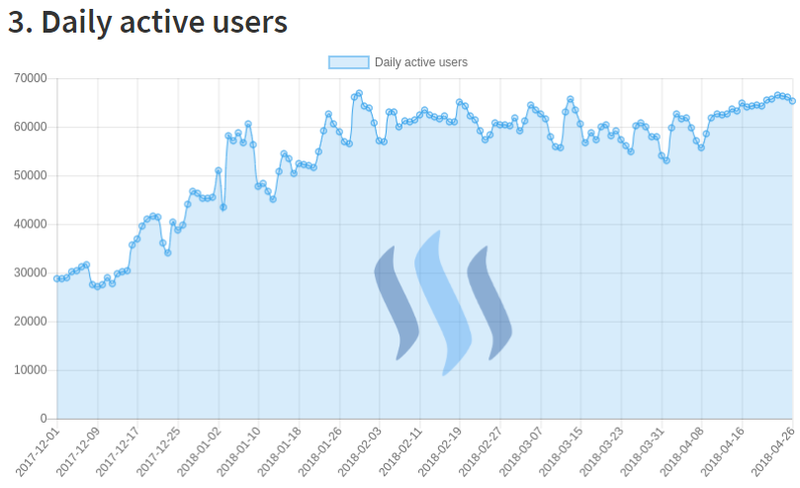 The graph above reflects 4/28/2018 statistic of 239377 Steem users. It shouldn't surprise anyone that the Steemit network is not truly decentralized in value holdings because it is still young (though relatively old in the crypto space). Most crypto projects don't even have a product, while Steemit has one of the longest running networks in the space. Still, Steem of at least Steemit is far from mass adoption. It is true that the user interface is not intuitive for most content writers. (maybe a piece of cake for coders). However, I think Steemit isn't the end game. Larimer and the community are likely going to continue to build out an ecosystem of decentralized social media platforms that can use the Steem/SP/SBD cyptocurrency system. Even a skeptic has to admit that this is a project that has gotten traction and will have the opportunity to solve issues with the network. 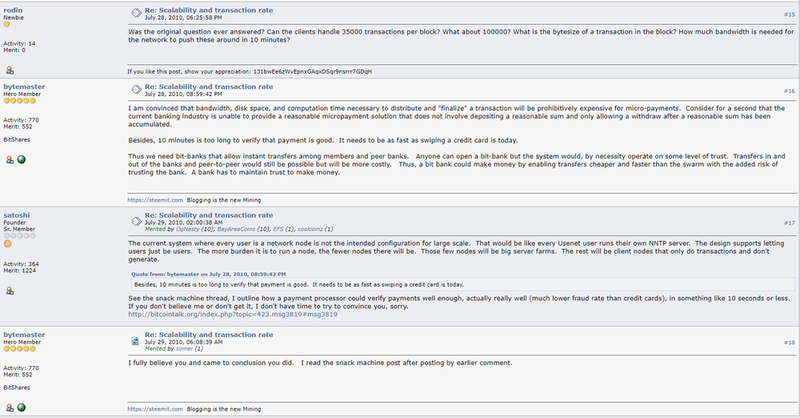 The important thing is that the network grows, and it has been growing. BUT, it looks like that growth has stalled in 2018, and the number of posts are actually going down. Let's see if they can turn things around during the rest of the year. Below are some Steem statistics for 2018, showing the recent slowdown. Jan 6 Binance Coin (BNB) Overview - Is BNB a Suitable Investment?